Legendary duelists drop sometimes when you have duels against them playing such as Kaiba, Ishizu, Odion, Pegasus and Paradox Brothers. This is a highly recommended skill for starters to farm/grind for more drops like skills, keys, and gems. The reason is that you can draw Mythical Beast Cerberus which is used to farm a handful of legendary duelists at the gate with high duel assessment. Underrated, you can drop plenty of cards with this one. Do I have to use a character that can use this skill like Kaiba to get this skill to be dropped? Or can I get it to be dropped while farming using Yugi? Skills will only drop for the character you're using, so if your character can't learn a skill, you won't be getting it. Mokuba learns this skill at level 20. Are you cheating on me aqua dolphin? So, I duel legendary duelists repeatedly to get this skill, and I have to duel as a duelist who can learn the skill. Does it matter who I duel against? 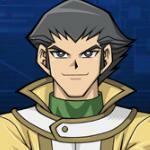 Jaden, Aster and Chazz can learn Draw Sense Light. 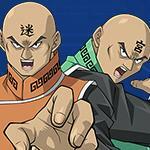 Not sure about the other GX characters. Jaden, Aster, Chazz, Bastion, Crowler can all drop this skill. Not sure about Alexis yet.